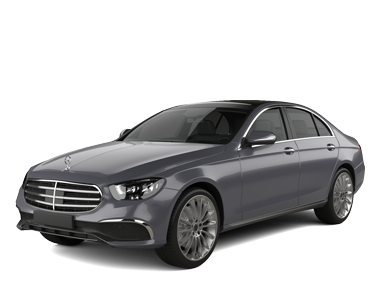 Book your transfer with Perth Airport Direct on our Private Airport Transfer service today! At Perth Airport Direct our Private Airport Transfer service is available for transfers between Perth Airport, and 441 locations across Australia. The Private Airport Transfer service aboard Perth Airport Direct is an express on-demand door-to-door transfer service. Your vehicle will be travelling exclusively for you and your group, directly without stops or delays, to your destination. Your transfer time will be best suited to match your specific requirements and the driver will pick you up and drop you off whenever it suits you. Our Private Airport Transfer service is available 24 hours a day 7 days a week and can be booked up to 12 hours ahead of travel. At Perth Airport Direct we offer fixed transfer fares starting from $106.53 AUD total one-way and with enough seat capacity for up to 7 passengers. Your final fare with us includes luggage allowance for 1 carry-on bag and 1 check-in bag per passenger. Also included in all our fares are airport parking fees, any tolls along the route and your drivers waiting time. Perth Airport Direct is a transport company based in Australia and we have been a professional transport supplier on Jayride since July 2015. PADirect offers executive ground transportation service across South & North of River Perth WA. Our services are designed for frequent executive travelers. Our reservation is available 24/7 to assist you throughout process of your trip from booking a chauffeur driven vehicle of your choice, whether it's a sedan trip from a airport, MPV service at a convention, or Mercedes Benz for an anniversary, our staff is ready to assist you throughout the process from planning on complex itinerary, budgeting, reserving and managing the trip until the completion. The confirmation are generated immediately and sent via email, the receipts are generated within 24 hours of the trip. You will also receive status alerts e.g., 12 hour trip reminder, chauffeur vehicle information, vehicle on location and more. Once you have reserved with us, our staff ensures to keep you informed and follow every possible preference. Driver was on time. Nice clean vehicle with a bottle of water for the ride. Would definitely recommend.